Bottomline: A revolutionary Serato DJ/Engine DJ controller that sets the standard for the future. 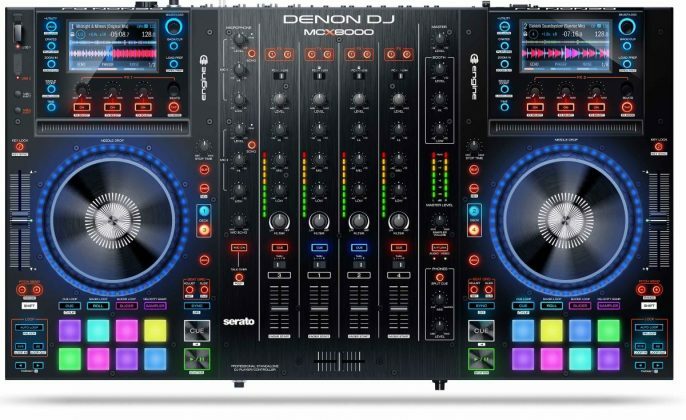 The Denon DJ MCX8000 is a game changer. 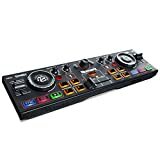 I make this bold statement because it’s the first controller that blurs the line between midi DJ controllers and standalone media players in a very effective way. It’s rugged, and boasting a full metal face plate the MCX8000 feels solid, ready to withstand heavy use. Rather than going through what the MCX8000 can do, it would be easier to state what it cannot do. Short from toasting your bread and preparing your coffee in the morning, this is a true “Swiss knife” of DJ controllers. Let’s look a bit closer at what the MCX8000 is capable of. The MCX8000 being a standalone controller, it can work without a PC. In order to prepare your music before transferring it to USB, Denon DJ has upgraded their music preparation software called Engine to version 1.5. It allows you to import your music library from, let’s say, iTunes or even Serato DJ. When you import from Serato DJ, Engine will carry over your cue points. This means, of course, less work to do. Once you have analyzed and prepared your tracks, export them to a USB stick and you are ready to go! Switching from Engine to PC or to an external source is a breeze. 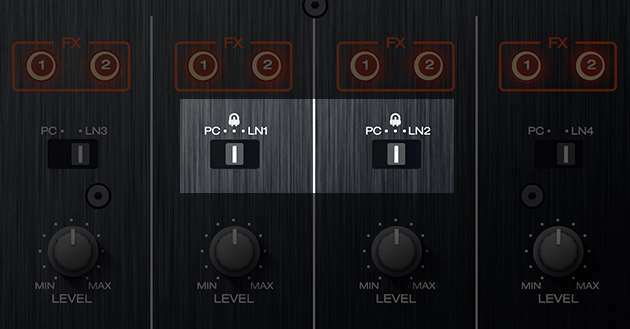 Simply flip the switch on top of line 1 or 2 on the mixer and the mode changes. Only channel 1 & 2 support Engine, so no 4 channel mixing when in standalone mode. The MCX8000 has two switchable USB inputs. The way it works is that both decks can be set to read USB 1 or USB 2. 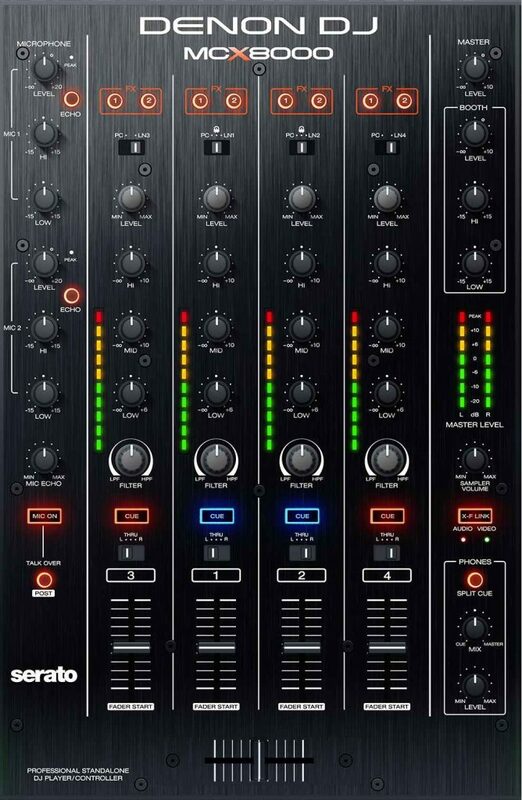 This makes it easy when there is a need to switch between 2 DJs. The controller is at its best when hooked up to a PC or Mac and working with Serato DJ. In this mode, all the functions of the decks are unlocked. Additionally, you can use the DVS and Video expansion packs from Serato DJ with the MCX8000 as well. More on that later. So the controller is flexible. 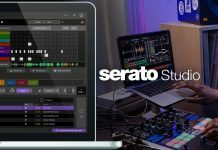 But with so many ways of using the controller, how do the different functionalities behave when hooked up to Serato DJ versus Engine? Let’s start with the screens. The eye catchers on the MCX8000 are the two full-color screens on each deck. The screens allow you to browse tracks, set controller features such as the behavior of the jog wheel LEDs, and most importantly they display track information. 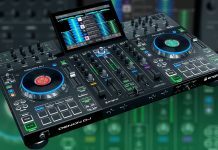 The information displayed when using Engine in standalone mode versus the PC mode with Serato DJ connected differs slightly, but not in a way that it confuses. Waveforms can be zoomed in and out directly from the controller. The browse function is a bit limited, you have only 3 columns of information but the last column is switchable from the controller, between track time, bpm and key. Provided you spend time preparing your crates (something you should do as a DJ anyway, never DJ off a cluttered and unorganized track collection) the limited browsing options should be no major grip. One small thing that some DJs might have an issue with is that because the MCX8000 has 1 screen per deck there is no way to stack waveforms horizontally or vertically. Many DJs use this as a visual aid when beat matching. So if you are used to this, you will be tempted to look at your computer screen from time to time. On the other hand, not having this feature forces to focus on beatmatching by ear… Which is a key skill to develop as a DJ. The MCX8000 effects work both in Engine as in PC mode, with an important difference. In Engine mode, only 3 effects can be used: Echo, Phase, and Noise. 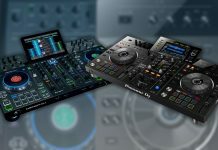 When connected to Serato DJ, all the Serato DJ effects are available. In both modes, the effects are post fader. The MCX8000 effects work with Serato DJ and in when using Engine. When in Serato DJ mode, you can select different effects from the controller. This is another huge advantage of the build in screens: without them, you need to awkwardly stare at your screen while you press the shift button + rotate to select the effect on your controller, here you can keep your eyes on your controller, and that feels so much more natural. It’s a small detail, but when performing it can make a big difference. Although the blue led ring is a bit too flashy for my taste, it does its job well of providing a visual cue on where the needle is on the platter. By default, all LEDs are lit while 1 led fades progressively to indicate needle position. In the controller preferences, you can change that behavior to have all LEDs dimmed by default while one lits progressively. My preferred setting. The video below shows how to change it. The jogs are 133mm in size, touch capacitive, very responsive, and build to last. They have the right amount of tension and resistance without feeling heavy. 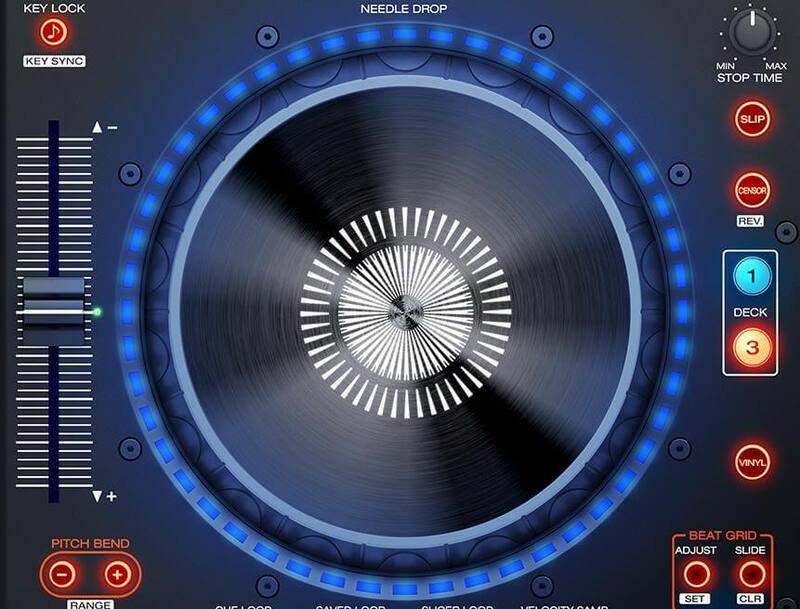 The top of the jog wheel can be set to vinyl mode, or you can use it to nudge your track, which is the default behavior of the sides in all modes. A series of buttons are placed around the jogs that control key functions in Serato DJ or Engine. First of all, there is a knob to control the stop time. I love this as a slow stop time can be a powerful feature when mixing (to create that slow fade down effect when you want to switch genres for example) and having to control that from the software is cumbersome. A fast stop time combined with slip mode (also a button on the MCX8000) can be cool performance trick. Check the video below for examples! The pitch fader is fantastic. The central LED is a great visual aid, and the buttons to control the pitch (and the pitch range using the shift button) are well placed and easy to use. No excuse here to mess up your manual beat matching! On the right side, you will find a deck switch button, making it easy to switch decks when using Serato DJ. The MCX8000 transport controls are laid out in a clear and easy to use way. The 8 pads are velocity sensitive and great for triggering cues, rolls and using the slicer. 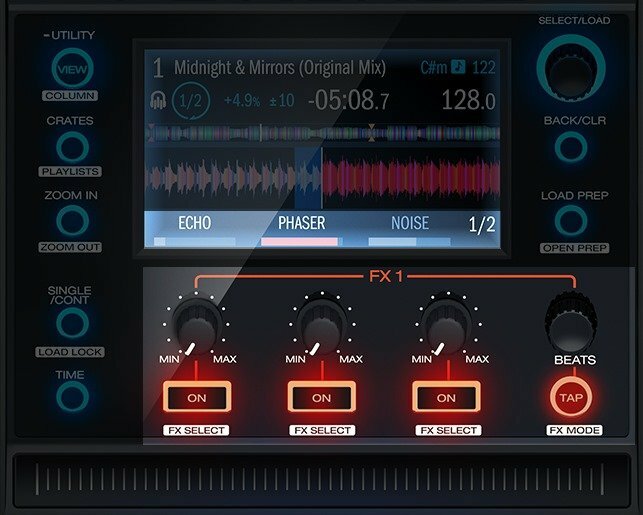 When using Serato DJ, the MCX8000 has a unique feature called Pitch Play. 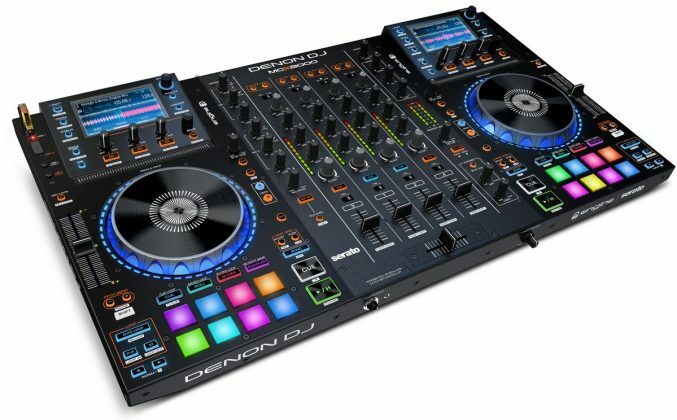 It uses Serato DJ’s Pitch n’ Time to create different tone version of a cue point across the 8 pads. This allows you to play those cue points like they were musical notes. When you buy the MCX8000, the Serato DJ Pitch n’ Time expansion pack comes in the package for free. Again, check out the video below for an example of how it can be used. When using Engine, the roll features splits the pads in two: the 4 top pads enable roll, the 4 bottom pads go into beat jump mode. The video below shows in more detail how that works. The MCX8000 mixer is a fully featured hardware mixer with two microphone inputs, each of them with a 3 band EQ and on/off echo effect switch. There is a booth level with its own dedicated 2 band EQ. Channels 1 and 2 are switchable between line in, PC mode and Engine mode, channels 3 and 4 are Line in or PC mode only. Each channel has its own dedicated VU meter, and there is a separated master level VU meter as well. On the audio quality, there are no compromises either: the MCX8000 features a built-in Professional 24-bit / 44.1 kHz resolution USB 2.0 audio interface, which ensures a crisp and rich sound. The faders and knobs on the mixer have the same level of quality as the rest of the unit, it all feels solid and built to last. The line faders can be set to left, right or thru. The MCX8000 has also a Stage LINQ network connection to control lighting and video. Finally, there is a button to activate split cue, and set the volume and cue/master level for the headphones. This means the MCX8000 is ready to handle whatever situation you can throw at it, and that will make mobile DJs particularly happy. 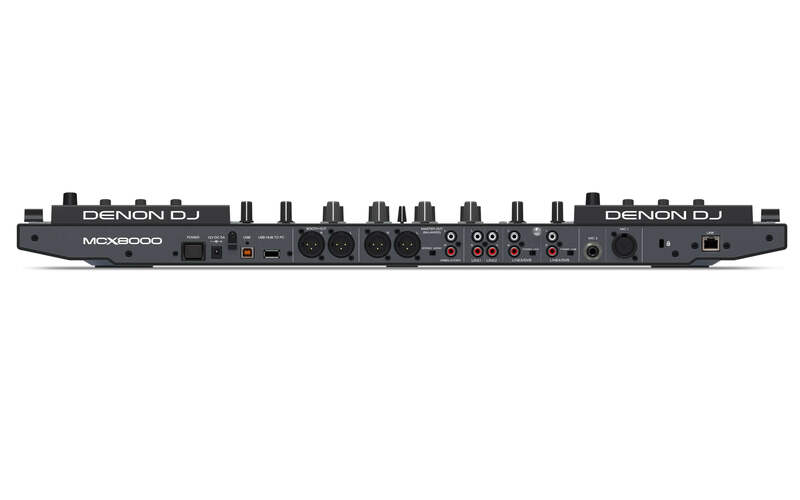 The MCX8000 has a wealth of inputs & outputs. First of all, there are two mic inputs. Each channel has their own RCA inputs for connecting media players and/or turntables. There are balanced XLR booth and main outputs, and an unbalanced RCA master output. Again all this connectivity will please mobile DJs and ensures that when you show up in a club with your MCX8000 under your arm there will be always a way to hook it up to the PA. The MCX8000 is in many ways a unique DJ controller. 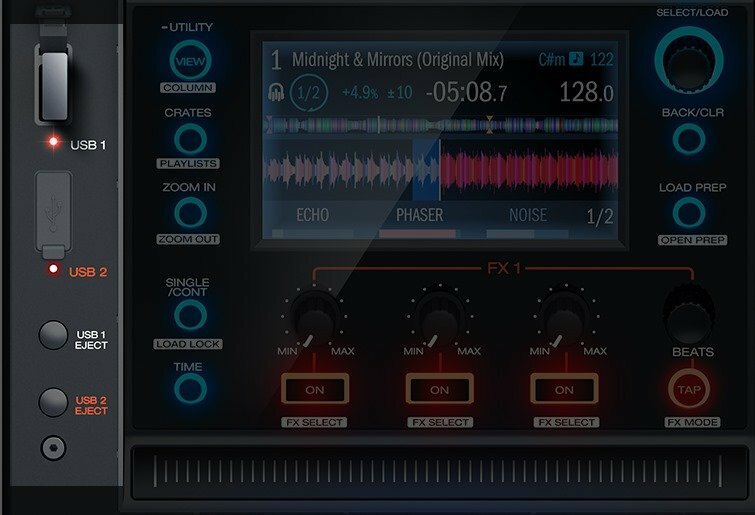 The capability to run Engine next to Serato, the build in screens, the extensive inputs & outputs that will please mobile DJs, the high-quality hardware mixer…All that for USD 1.299. To me, that is a very reasonable price for such a fully featured controller. 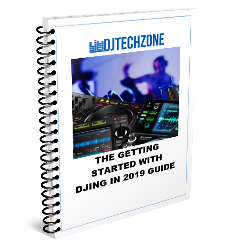 For a company that was steadily falling behind when it comes to shaping the DJ gear industry (their latest media player, the SC2900 was released back in…2012) this is a mighty return to form. The reality is that the MCX8000 has little or no competition. No controller out there from any other brand offers this much flexibility for the price. So if you use Serato DJ, don’t mind using Engine to prepare your music for standalone mode and your budget allows the asking price, I wouldn’t look any further. The game is mostly on Pioneer DJ now to come with an answer. 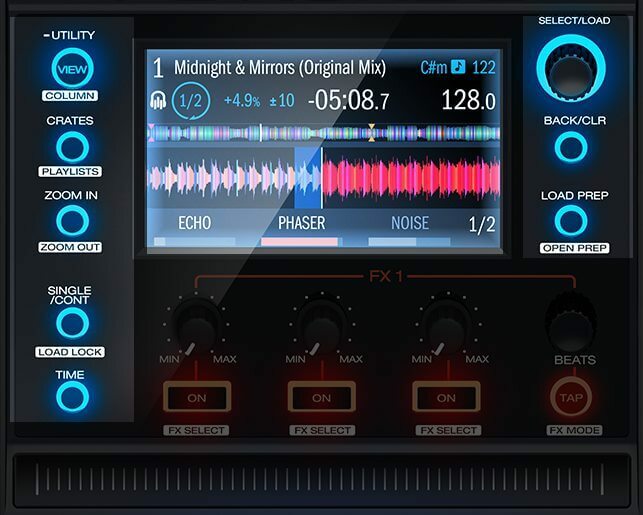 The recently launched top of the line Pioneer DJ DDJ-RZX has built in screens as well, but the lack of standalone mode and the asking price of USD 2.999 rules it out as a competitor for the MCX8000. interesting time to say at least! A whole host of features for an amazing value, the MCX8000 delivers on all fronts and combines standalone mode using USB sticks with a fully featured Serato DJ controller. Combine that with a compact but solid build and you have true 5 star controller.